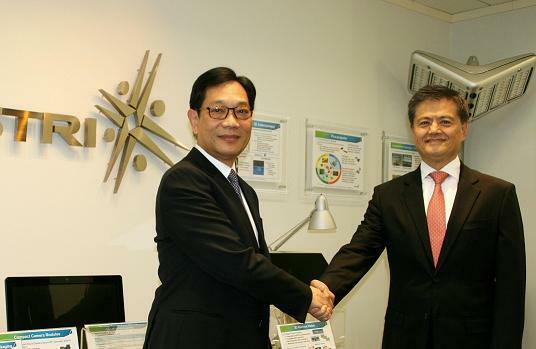 [Hong Kong, 15 October 2013] Hong Kong Applied Science and Technology Research Institute (ASTRI) today (15 October) announced the appointment of veteran industrialist Mr Wong Ming-yam, BBS, JP as the new Chairman of the Board for a two-year term effective 21 October 2013. Mr Wong is succeeding Dr Patrick Wang, who has been serving as the Board Chairman of ASTRI since 2007. “With the combined effort from all concerned, including the Hong Kong SAR Government, I am sure ASTRI will succeed in developing into an R&D centre that the people of Hong Kong could be truly proud of,” Mr. Wong added. Mr Wong, in his illustrious career, has served the industrial sector for more than 35 years, having gained substantial experience in global industrial operations. He is currently Chairman of InnoLink Investment Limited and MPD Group Limited and a Director of several technology companies. Previously he was Chief Executive Officer of Elec & Eltek Display Technology Limited and Senior Vice President of Royal Philips Electronics. Mr Wong has also been an active contributor to public service over the past three decades. At present, he is Honorary Chairman of Hong Kong Electronics & Technologies Association. He also serves as a member on the Panel on Promoting Testing & Certification Service in Environmental Protection Trade of Hong Kong Council for Testing and Certification. In addition, he is a member of the working group on Intellectual Property Trading of Intellectual Property Department, as well as Vice Chairperson of the CreateSmart Initiative Vetting Committee of Create Hong Kong. Formerly, he was Council Member & Deputy Chairman of Hong Kong Productivity Council, Director of Hong Kong Science & Technology Parks Corporation, Member of Advisory Committee of Innovation and Technology of Hong Kong Trade Development Council and Member of Innovation and Technology Fund Vetting Committee, amongst others. In congratulating Mr Wong on his appointment, Dr Wang said, “It has indeed been my honour and privilege to have this wonderful opportunity of serving as ASTRI’s Chairman over the past six years.